Sprinter Sacre Or Altior - Who Is Better? Here at the Winners Enclosure over the past few weeks, we have discussed in depth some of horse racing's biggest debates and past clashes. We have broke down the arguments of Denman vs Kauto Star, McCoy vs Johnson, Nicholls vs Henderson, and Mullins vs Elliott. Now we come face-to-face with one of the hardest disputes to unravel in all - who out of Altior and Sprinter Sacre; two Nicky Henderson greats, is indeed the best? 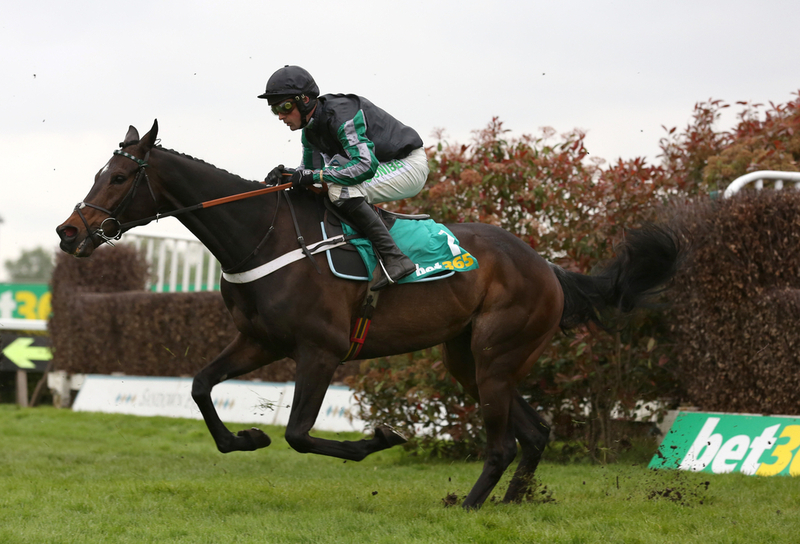 We will begin with the current Champion Chaser Altior, who is just simply magnificent. Unbeaten in all fifteen starts over obstacles - five over hurdles and ten over fences, he is just relentless. Still only an 8yo, he never looks fortunate when winning, but instead always proves a class apart. In some races - including the Queen Mother at the Festival earlier this year, he laughed off claims that he was in trouble when powering up the hill, away from the opposition, who are no disgrace themselves. If you think logically, the Willie Mullins-trained Min would of been a two-time Cheltenham Festival winner, including the Champion Chase, if it was not for the freak of his generation. Altior is one of those rare competitors, who just never seems to look like losing - does not matter who he is up against. An absolute beast who hardly touches a twig when leaping, seems a banker wherever he goes. Moving onto the other end of the scales, where we find Sprinter Sacre, and there are not many different adjectives we could use to describe him. Sprinter Sacre's story is certainly one closer to the heart, after having been unbeaten in ten races over fences - which included the 2013 Champion Chase, was pulled up around this time of year in the Desert Orchid Chase around Kempton, with everyone fearing the worst. He continued to suffer from heart problems, but made an almighty comeback over a year later, on the road to regaining the two-mile Festival feature in 2016. In this case, it is more of what could have been if he had not suffered from health problems, but having said that, he still accomplished virtually everything there is to achieve for a horse in his division. Sprinter finished his career with victory in the Celebration Chase at Sandown in April of that year, in one of the most emotional farewells in sport. Two horse racing greats, but we need a winner. Altior is just stunning, not just in looks, but in the way he goes about his business. If we turn to the ratings, the 2016 Supreme winner is currently rated 175, the highest he has ever been, having beaten Un De Sceaux in the Tingle Creek earlier in the month. Compare that to Sprinter Sacre and you will be blown away. In December 2013 - prior to Sprinter Sacre's sad early exit, he was rated 188, meaning if the two Henderson giants had ever clashed, Sacre would be giving Altior 13lb in weight; almost a stone which is astonishing, and surely that is all the evidence we need to decide our winner. HOWEVER, no one could know how even greater Sprinter Sacre - now relishing retirement as a 12yo, could of got, and likewise, Altior is still an 8yo and has plenty of time yet to reach the heights of a horse that once roamed the yard he now calls home. At this present time, you would have to hand it to Sprinter Sacre on the basis of the ratings, and we know what we achieved. There is not a single person out there though who would bet against Altior right now achieving the heights of Sprinter Sacre, and should he remain injury-free, you would fancy his chances of being even better. He possesses every quality a trainer could desire in a top horse, and like Sprinter, really is the outlier of his group.